By John Riddell. In a comment on this website, Jara Handala raised a number of questions regarding the evolution of the Comintern’s position on fascism, a topic touched on in my article Weighing the Legacy of Lenin’s Comintern. I do not know of any full treatment of this topic in English. I am therefore providing the summary account prepared for the introduction to my book on the Comintern’s Fourth Congress, Toward the United Front (Haymarket Books). This draft (Copyright © 2011, 2014 John Riddell) differs slightly from the final text in the book. The debates of the Third Comintern Congress reflected wide agreement among most delegates on united front policy. By contrast, the discussion of fascism in Italy lacked coherence. An abrupt shift, near the close of the congress, produced a final decision that, while limited in scope, was rapidly and fruitfully elaborated after the congress closed. Judging from the congress record, this shift resulted from insistent urging by front-line delegates. Five days before the congress began, Benito Mussolini took power in Italy, after a two-year fascist campaign that shattered working-class organisations across the country. The great metalworkers’ strike movement of September 1920 had ended in frustration and disarray, and subsequently the Italian workers’ movement ebbed. Attacks by aggressive fascist militias, encouraged by police and state authorities, served as the cutting edge of an employer counteroffensive. An economic slump brought massive layoffs, further weakening worker resistance. The fascists’ violent conquest of the workers’ stronghold of Bologna on 21 November 1920 demonstrated their new-found power. Thereafter, fascist ‘punitive expeditions’ systematically destroyed workers’ institutions, unions, and political organisations in one region after another, starting in rural areas and advancing toward the industrial centres. Meanwhile, the Italian Socialist Party, which was then the Comintern’s Italian affiliate, was locked in internal struggle. The majority, led by Giacinto Serrati, refused to implement fully the Twenty-One Conditions for membership in the International. The sticking point was the insistence by the Comintern Executive Committee (ECCI) that the Italian party immediately expel its openly reformist minority. At the party’s January 1921 congress in Livorno, Serrati’s forces refused to carry through this break, prompting a minority led by Amadeo Bordiga to leave the congress and constitute itself as the Communist Party of Italy. The Comintern recognised this new party as its Italian section. Paul Levi, representing the German party in Livorno, criticised the role of ECCI envoys in promoting this split in an over-hasty fashion that left so many Comintern supporters in the Socialist Party and outside the International. The ensuing debate on this topic in the KPD contributed to the crisis that convulsed that party in the first half of 1921. The fascist movement in Italy was historically unprecedented, and it took time for the Communist movement to understand that it represented a new kind of threat. A resolution of the Red International of Labour Unions (RILU) in mid-1921 contains a short description of fascist attacks, and fascism is listed as an agency of ruling-class violence in a Third Congress document, but neither document attempts an analysis. Prominent leaders of the Italian Communist Party (CP) denied any fundamental difference between fascism and bourgeois democracy, viewing the fascist drive for power as the internal business of the ruling class and of no special concern to working people. Neither the CP nor the SP attempted to build a broad and effective defence against the fascist rampage. The CP was focused on the contest with its Socialist rival, while the SP relied on the formal protections promised by a state apparatus that was, in fact, complicit in fascist violence. In June 1921, in Rome, a fighting organisation for anti-fascist defence, the Arditi del Popolo (People’s Commandos), sprang up independently of the workers’ parties. The Arditi, which won broad support among working people, including among Communists, Socialists, and anarchists, formed a national organisation with some 20,000 members, and scored initial successes against the fascists. The Communist and Socialist parties responded to the Arditi with hostility. The CP leadership, which favoured self-defence against the fascists only when conducted by organisations under Communist control, barred its members from joining the Arditi, on pain of expulsion. On 3 August 1921, the SP signed a ‘peace’ agreement with the fascists that included a clause repudiating the Arditi. Nonetheless, even without significant CP or SP assistance, the Arditi and their allies were able to deal the fascists a resounding defeat in November 1921, neutralising their first ‘March on Rome’. At first, the Comintern leadership was poorly informed about developments in Italy. Thus, when Lenin wrote on 14 August 1921 in praise of a successful anti-fascist demonstration of fifty thousand in Rome the previous month, he described it as a united action in which ‘the entire proletariat – the reformist proletariat of the trade unions and the Centrists of Serrati’s party – followed the Communists against the fascists’. In fact, the protest was spearheaded by the Arditi, while the Communist leadership abstained. The ECCI held its first full discussion of the Italian situation on 24 January 1922, a month after it recommended a united front policy for general application, including in Italy. Francesco Misiano, representing the Italian CP leadership, explained the party’s aversion to this policy as due to its desire to avoid giving the Socialists ‘the opportunity to blur the difference between them and the Communists’ at a time when the SP was in rapid decline. The CP was therefore applying the united front policy only in the trade union arena, he said. Asked about the Arditi del Popolo, Misiano said that the party had not taken part in this movement because it was ‘sponsored by the bourgeoisie and led by an adventurer’. The Arditi were fading away, he said, but if they revived, the CP might reconsider its stance. In response, Bukharin said the CP had ‘made a great error in the Arditi del Popolo affair, which had offered the best chance of bringing broad masses under our leadership’. A commission of Bukharin, Misiano, and Mátyás Rákosi wrote the Italian party along these lines. Nonetheless, at the expanded conference of the ECCI held in February–March, the Italian delegates remained adamant. The ECCI then wrote a more sweeping letter criticising the Italian CP on many issues, including the united front, without posing the question of resistance to the fascists. A subsequent ECCI appeal, written on 22 July, struck a different note, blaming the Socialists for fascist gains and omitting the call for a united front. On 1 August 1922, an alliance of reformist trade union leaders launched a poorly prepared general strike against the fascist danger. It was rapidly broken by fascist and government repression. Where rank-and-file working-class forces achieved unity, as in Parma and Bari, they were able to hold off the fascist assault. The Communist Party took no official part in the August alliance or the spontaneous united fronts of anti-fascist resistance. In balance, the August conflicts amounted to a devastating defeat for the working class that opened the road for the fascist march to power. On 3 October, the Socialist Party, which still had 74,000 dues-paying members, expelled its reformist right wing, called for unity with the Comintern and selected delegates to attend its world congress. The ECCI called on the SP and CP to form a joint action committee as the first step to fusion, but in vain: Bordiga declared the SP’s left turn to be without significance. Fourth Congress discussion of Italy focused on the proposed CP-SP fusion. The majority of Italian CP delegates were opposed, and the SP delegates were sceptical. The lengthy hearings of the commission and sub-commission established to study the Italian question talked of little else. After strenuous efforts, the Comintern leadership convinced 16 of the 21 Italian delegates to support a detailed fusion protocol, in which Comintern emissaries were to wield decisive power. After the congress, with both parties reeling from fascist repression, a majority of the SP rejected the deal. Only in 1924 did a minority of the SP, led by Serrati, join the Comintern. As the Fourth Congress opened, the pursuit of a united front in Italy was expressed solely in the effort to bring about an SP-CP fusion. The Comintern’s longstanding disagreement with the Italian party majority on the united front was again aired, but was not linked to the challenge of fascism. Zinoviev’s opening report from the ECCI denounced the errors and weaknesses of the Italian Socialist Party that had contributed to fascism’s rise, while referring to the CP’s conduct there as worthy of ‘the most important chapter’ in a ‘policy manual for Communist parties’. Radek avoided the topic, and even Bukharin made only a fleeting and enigmatic reference to the Arditi del Popolo. According to Zinoviev, the situation in Italy from the start of the War in 1914 to 1919 was ‘characterised by the counterrevolutionary role of the old Social Democratic party’. Yet these were years in which the Italian SP opposed the War, took part in the Zimmerwald movement to build militant opposition to the War, and joined the Comintern. More than once, Zinoviev coupled Mussolini and German Social Democrat Gustav Noske as agents of White Terror against the working class. On one occasion he pointed to the similarity of ‘fascist syndicalism’ to the reformist ideology of Social Democracy. His final word on Italy was to call for a united struggle against reformism and fascism. Such formulations left little scope for united front initiatives toward reformist-led organisations. It is true that Noske had sent right-wing detachments against revolutionary workers, but he did this in order to secure the position of reformist union and political officials within a bourgeois democracy; in Italy, the reformist union and political organisations had been demolished by fascism. It was left to Radek to note that the reformist leaders are ‘based on a party of millions’ of working people. They often betray these workers, Radek said, but ‘when it is necessary for their salvation, they can also betray the bourgeoisie’. Comintern leaders expressed a range of views on the meaning of the fascist victory. Early in the congress, Zinoviev said of the fascist takeover in Italy that, ‘viewed historically, it was a farce. A few months or years will pass and it will turn out favourably’. Yet the following day, Zinoviev predicted the fascists would ‘hold their own … during the coming period’, which would probably see similar overturns in Central Europe. Bordiga predicted that the new regime would be ‘liberal and democratic’, reinforced by occasional fascist violence. Others were more far-sighted and accurate. Antonio Gramsci described how the fascists, equipped with a private army of 400,000 men backed by active or passive support of the majority of state officials, ‘held in their hands the entire foundation of the state’ even before taking office. Radek called their takeover ‘the greatest defeat that socialism and communism have suffered’ since 1917. But none of the major reports discussed how fascist attacks could be countered. That issue was raised, instead, by delegates from countries near Italy that were probable targets of fascist offensives. On November 3, two days before the opening session, the German KPD’s Central Bureau (Zentrale) – its day-to-day leadership – instructed the party’s congress delegation to ‘urge an international campaign against fascism, in its different forms’. 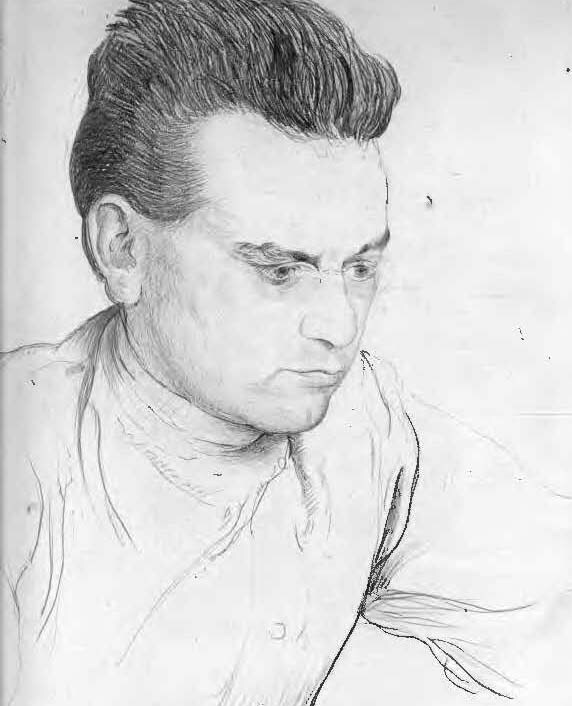 During Session 12, Czechoslovak leader Bohumir Šmeral sketched out a plan for bringing together diverse forces in an anti-fascist alliance. The following day, Victor Stern of the Austrian party struck a new note by describing efforts to challenge Social Democrats to join a united front in defence of Austrian independence and its ‘much-vaunted democracy’ against a League of Nations trusteeship. In the same session, Hoernle reported that the KPD had called for ‘proletarian self-defence’ against fascism the moment that ‘the danger is evident and tangible for the masses’. Swiss delegate Franz Welti then expanded this concept into a defence strategy, calling for a ‘coordinated effort on the basis of a proletarian united front, utilising both parliamentary and extra-parliamentary methods, in order to erect a wall against fascism’. The KPD’s Karl Becker wrote in the congress newspaper, Bolschewik, that ‘the KPD should organise the united front of the working class against the fascist mobilisation’. On 22 November, the congress sent greetings to a Berlin conference of factory committee delegates – doubtless drafted by the KPD’s representatives in Moscow – calling for ‘a united proletarian front of struggle to … resist German fascism through the formation of workers’ defence contingents’. No delegate spoke of Bulgaria, where Communists, applying the united front policy, had helped in 1922 in achieving significant gains against the threat of a White Guard coup. At the time of the Fourth Congress, however, the Bulgarian CP was shifting toward the sectarian path that contributed to devastating defeats the following year. Despite these appeals, the bulk of Zinoviev’s summary address on Italy, delivered the day before the congress closed, was devoted to reviewing once more the failings of the Socialist Party and the reformist union officials. ‘Reformism is our main enemy’; the ‘first task’ of a merged SP and CP must be to ‘strike against reformism with our united forces’. Then, without explanation, seven minutes from the end of a ninety-minute speech, Zinoviev shifted course radically: ‘We must succeed in becoming a vanguard of the entire anti-fascist struggle’, he said. Although still not mentioning the concept of united front, he did reassert the position the ECCI had taken nine months earlier regarding the need for the Italian CP to get involved with ‘confused forces’ such as the Arditi. The congress and commission proceedings give no indication why the Comintern leadership raised this vital issue so late in the congress, after a month of silence and when all discussion was closed. Just what was it that the Comintern sought to defend against fascism? There was no time to explore this issue. Physical defence of the working class, to be sure. But the Rathenau campaign protested the murder of a capitalist, anti-worker politician. United fronts against the Kapp and Kornilov putsch attempts had blocked efforts by the extreme Right to overthrow capitalist governments that were themselves repressing the working class. The Comintern’s 1922 campaign on Austria defended, among other things, this bourgeois republic’s sovereignty. Yet in Germany, a brutal counterrevolution had been carried out under the banner of ‘democracy’. Communists denounced this fake ‘democracy’ in terms similar to Zetkin’s in the Fourth Congress, who termed it the ‘naked class rule of the bourgeoisie’. Similarly, Radek endorsed criticisms by Fischer of the KPD’s conduct during the Rathenau campaign, saying that Communists should ‘not run after the corpse of Rathenau shouting “republic, republic”’. No clear distinction was drawn in the congress between advocacy for democratic rights and defence of specific forms of bourgeois rule. Unfortunately, the need for anti-fascist defence was raised too late in the congress to explore its implications. Some years after the congress, the Italian delegate Camilla Ravera recounted a comment by Lenin on this issue in a meeting with Italian delegates held on the eve of the congress. ‘The working class always struggles to win and defend democratic rights, even if they are limited by the bourgeois government’, she recalls Lenin as saying. ‘And when it loses them, it fights to win them back, and searches for allies for that struggle’. This account is consistent with Lenin’s long-held views, but is not echoed by other reports from 1922. Gramsci wrote a parallel account in 1926 – probably based on his 25 October discussion with Lenin – which does not mention comments by Lenin on democratic rights, but does say that Lenin stressed how important it had been, after the Livorno split, of drawing the SP into ‘an alliance against reaction’. To the Italian CP leadership, Gramsci recalled, ‘every attempt by the International to make us adopt this line appeared as an implicit disavowal of the Livorno split’. The congress discussion on fascism was improvised under the pressure of Mussolini’s coup in Italy. Both passages in the convention resolutions that mention fascism were inserted as amendments. The first of these, an addition to the resolution on Italy, is not found in the congress proceedings but is included in a separate edition of congress resolutions; it concerned only illegal work under fascism. Otherwise, the resolution on Italy focused on criticism of the Socialist Party, in the same spirit as Zinoviev’s opening report. A late addition to the Theses on Tactics defined the distinguishing feature of international fascism as its ‘attempt through social demagogy to achieve a base among the masses – in the peasantry, the petty bourgeoisie, and even certain sectors of the working class’. Communists were called on to be ‘extremely active in setting up united fronts’ on this question, the resolution stated, without elaboration. Following the congress, the Comintern moved swiftly to develop a broad international campaign against the fascist danger. Landmarks in this process included an ECCI appeal of 3 January 1923 for an international united front against fascism; the formation shortly thereafter of the International Provisional Committee against fascism chaired by Zetkin and French author Henri Barbusse; an international ‘week of struggle’ against fascism organised 15–22 April; and the report by Zetkin, discussion, and resolution on fascism at the expanded ECCI conference held 12–23 June.
. Bordiga provided the congress with graphic description of the fascist offensive, including the assault in Bologna; see Riddell 2012 (ed. ), Toward the United Front (hereinafter Riddell TUF) pp. 408–9. For another account, see Tasca 1966, pp. 102–5.
. For the 1921 documents, see ‘Appeal Against White Terror’ in RILU 1921, p. 88 and Bulletin des III. Kongresses der Komintern, no. 1 (24 June 1921), pp. 18c–18g; and ‘Theses on Tactics’ in Adler 1980, p. 276. For assessments of the Italian CP’s conduct during the rise of fascism, see Spriano 1967, 1, pp. 135–8, 181–6; Luks 1985, p. 36; Behan 2003, pp. 91–9; Bellamy and Schecter 1993, pp. 60–61.
. For accounts of the Arditi, see Balsamini 2002; Francescangeli 2000; Spriano 1967, 1, pp. 139–51; and Behan 2003.
. Lenin 1960–71, 32, p. 522; Behan 2003, p. 106.
. Comintern 1922c, p. 393.
. Comintern 1922c, p. 394. The letter, apparently written by Bukharin, was not published until 1924. For excerpts, see Spriano 1967, 1, pp. 150–1; Behan 2003, pp. 107–8.
. See ‘Zum Programmentwurf der Komm. Partei Italiens’, Die Kommunistische Internationale,23 (November 1922), pp. 142–5; ‘ECCI Manifesto to the Workers of Italy’, Degras 1971, 1, pp. 362–5.
. For Bordiga’s description of events in Bari, Riddell TUF see p. 411.
. Spriano 1967, 1, pp. 223–7.
. See the commission proceedings, Comintern 1994, 491/1/303/1531–5 and 491/1/306/1535–9; Kunina 1980, p. 365; and the resolution on the Italian question, Riddell TUF, pp. 1138-42.
. See especially speeches by Bordiga for the party majority and Graziadei for its pro-united front minority, pp. #112–23.
. See Riddell TUF, pp. 105-8 (Zinoviev), 388-9 (Radek), 213 (Bukharin).
. See Riddell TUF, p. 1032.
. See Zinoviev’s remarks in Riddell TUF, pp. 69, 124, 1052, 1054.
. See Riddell TUF, p. 467.
. See Riddell TUF, pp. 106, 121 (Zinoviev), 420 (Bordiga), 386 (Radek). Gramsci, although a delegate, did not speak at the congress; his analysis was printed in the congress newspaper, Bolshevik, no. 4 and no. 12 (November 1922). The first portion of this article is found in Gramsci 1974, pp. 528–30.
. For November 3 decision, see Reisberg 1971, p. 654. See also Riddell TUF, pp. 427 (Šmeral), 451 (Stern), 461 (Hoernle), 476 (Welti), 705-6 (Greetings to Berlin conference). Becker wrote in Bolschewik no. 10, published approximately 18 November 1922.
. Rothschild 1959, pp. 103–6; Ponomarev 1984, pp. 649–51; Broué 1997, pp. 333–5.
. See Zinoviev’s remarks in Riddell TUF, pp. 1031ff., 1047, 1053.
. See Riddell TUF, pp. 310 (Zetkin), 516 (Thalheimer), 164 (Radek), 273-4 (Zinoviev).
. For Ravera, see Kunina 1980, pp. 359–60; Sekei 1980, p. 287. For Gramsci, see Fiori 1971, p. 153. Regarding Lenin’s views on democratic rights under capitalism, see Lih 2006.
. The relevant passages of the resolutions are on pp. 1141-2, n. 19, and pp. 1154. See also Firsov 1980b, p. 139.
. Kunina 1980, p. 368; Puschnerat 2003, pp. 283–4; Comintern 1923d, pp. 204–32, 293–8. For Zetkin’s role, see Riddell 2009. Lenin, V.I. 1960–71, Collected Works, 45 volumes, Moscow: Progress Publishers.